TeknoDragon (5 years ago) Inappropriate? wavedelsh (6 years ago) Inappropriate? DarkestHour55 (7 years ago) Inappropriate? Writing this to say a HUGE thank you for your hard work on this prop. The level of detail is frightening in a good way. I just used it and in the final render I noticed the chain on the beater and even the return spring. That is an unbelievable level of detail that stuns me silly. milindsharma (8 years ago) Inappropriate? laserr (9 years ago) Inappropriate? Would it be possible to make a version where the cymbals and hi-hat are separate so they can be aminated? 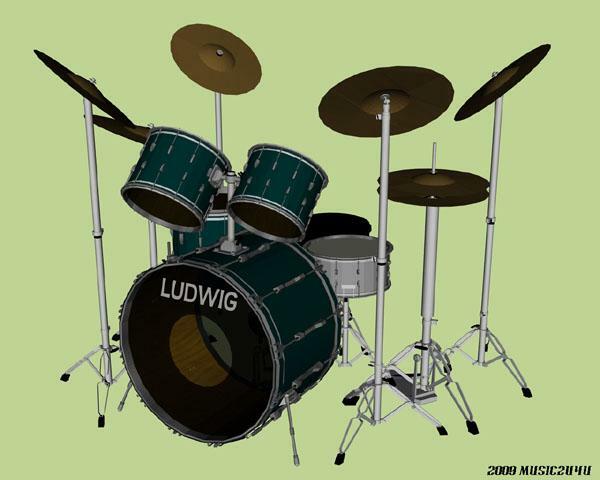 This way when a character is playing the drums it would look more realistic. FANTASTIC ! Thank you very much, always the top ! Fantastic! Now do some classic bass drum skins. The Queen crest one would be a great place to start. CHEERS!